Sunrise or sun up is the instant at which the upper edge of the Sun appears over the horizon in the morning. The term can also refer to the entire process of the Sun crossing the horizon and its accompanying atmospheric effects. Here are the steps to draw Cartoon Sunrise. Enjoy! 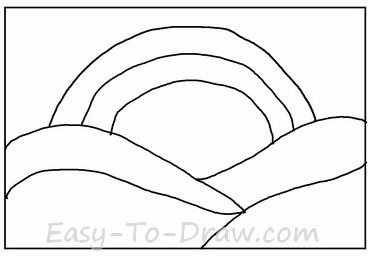 Step 1: Draw some curves at the bottom as the shape of the mountains. 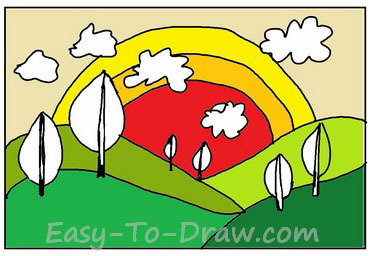 Step 2: Draw three half circles as the sun. 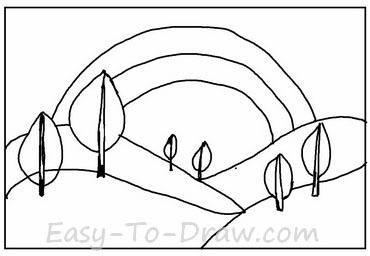 Step 3: Draw some trees on the mountains. 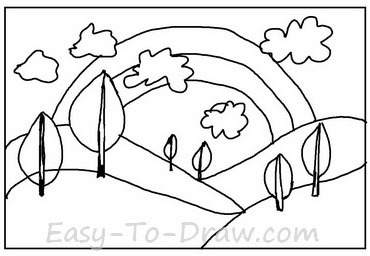 Step 4: Draw some clouds in the sky. 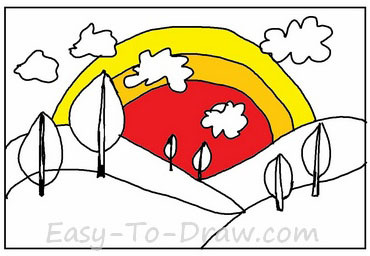 Step 5: Color the sun red and its radiance in orange & yellow. Step 6: Color the mountains in differnt green colors. Step 7: Color the leaves on the tree in green colors as well. Step 8: Add some green grasses on the mountains. 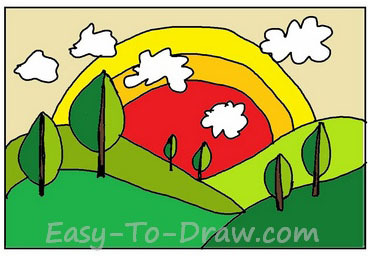 Sunrise Video Drawing Tutorial for kids!